UPSC NDA & NA (I) 2013 Result Declared – upsc.gov.in. NDA Result Online. UPSC Results. 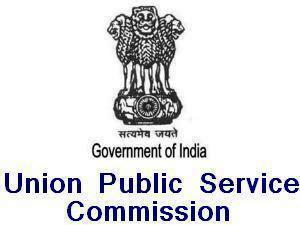 Union public service commission upsc has declared the NDA and NA (I) 2013 Final Result on the official website of commission – http://upsc.gov.in. National Defence Academy and Naval Academy Exam 2013 Result declared and available online. There are 469 qualified candidates in the merit according to the performance of written exam 2013 held in the month April 2013 by union public service commission UPSC for admission to the Army, Navy and Air Force wings of National Defence Academy for the 131st Course and Naval Academy for the 93rd Indian Naval Academy Course (INAC) commencing from 2nd January, 2014., and their roll number and names are available in this document published on upsc.gov.in website. The marks of the candidates will be available within the 15 days after the declaration of NDA and NA Exam 2013 Final Results on the official site – http://www.upsc.gov.in. All the candidates appeared in national defence academy NDA and Naval Academy NA Exam 2013 and waiting for their final results, can download the following document containing the names and roll number of 469 qualified candidates. Download the following pdf and check your result online.